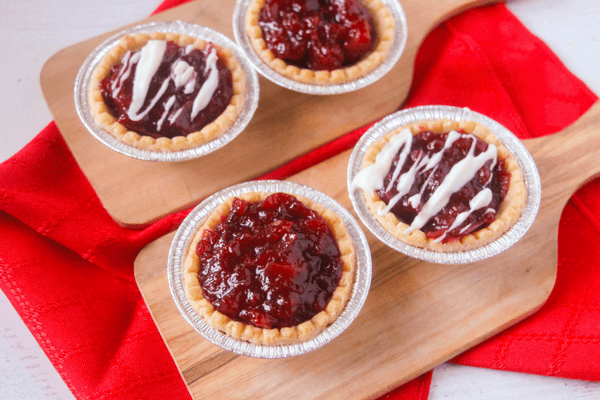 After making some homemade Apple Cider Cranberry Sauce, I had to experiment and see how many uses I could come up with for it – and these Apple Cranberry Tarts with White Chocolate Drizzle are definitely a delicious way to use up any leftover cranberry sauce from the holidays! Get set for your next family gathering with these 11 Party Food Recipes Guests will Love. How darling is this Thanksgiving Turkey Treat! Make it for your family this season. I love this Classic Apple Brown Betty recipe as well. 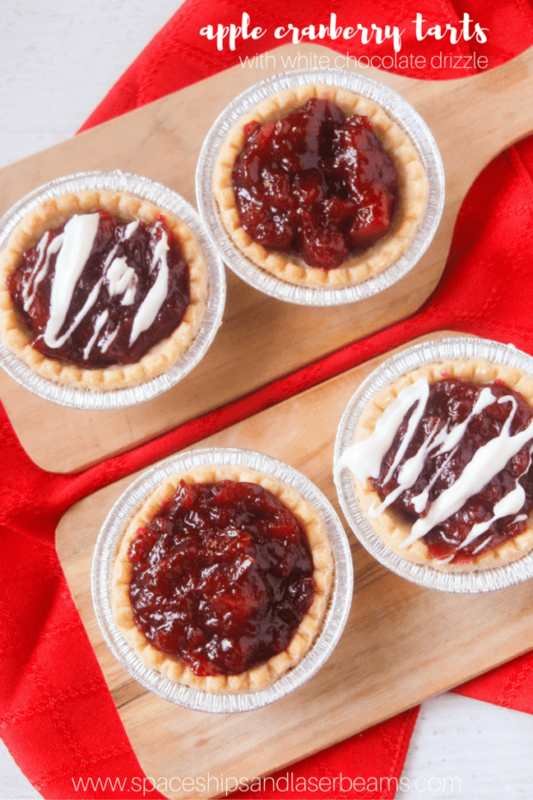 A little bit tart, a little bit sweet and completely delicious, these apple cranberry tarts have so much going for them – from that buttery crust, to the perfect homemade jelly filling and just the right amount of white chocolate drizzle… Are you turning on your oven yet? 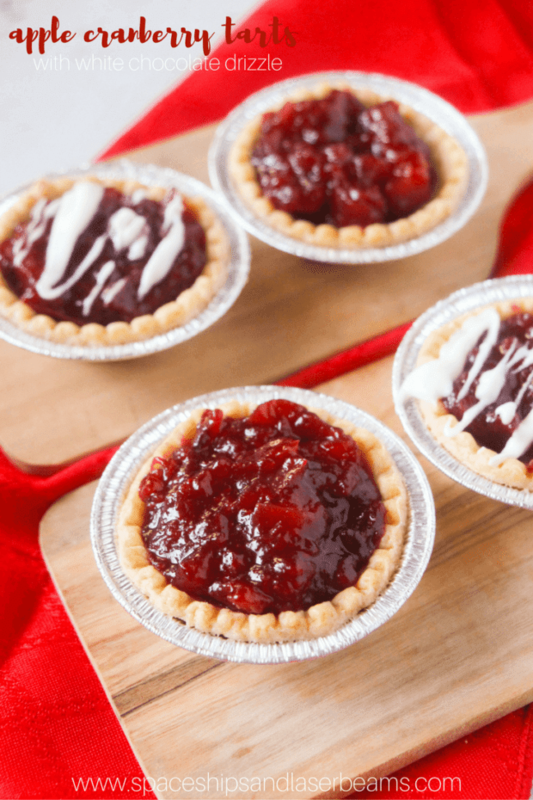 These tarts are a welcome bite-sized treat after a large turkey dinner, or make a great homemade hostess gift. My daughter even enjoyed them in her lunch along with all of that leftover turkey! 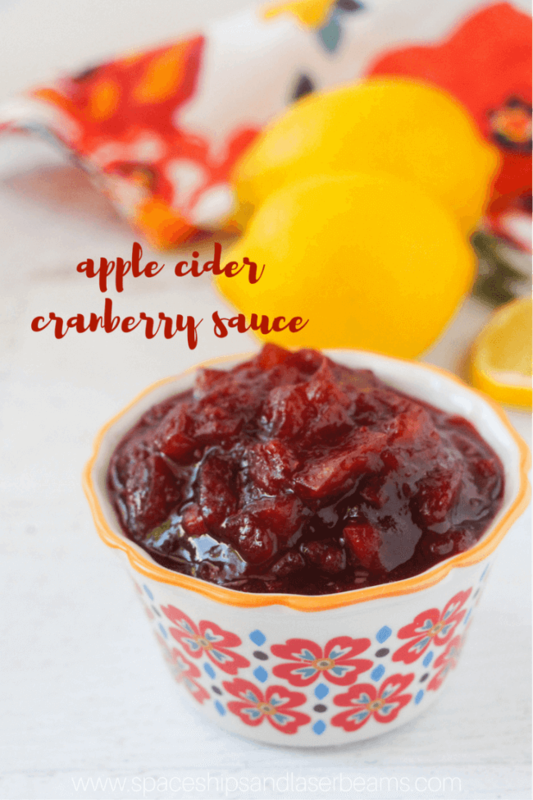 You can check out step-by-step pictures of how to make the apple-cranberry sauce here. Pin this easy Cranberry Apple Tart recipe for the holidays! 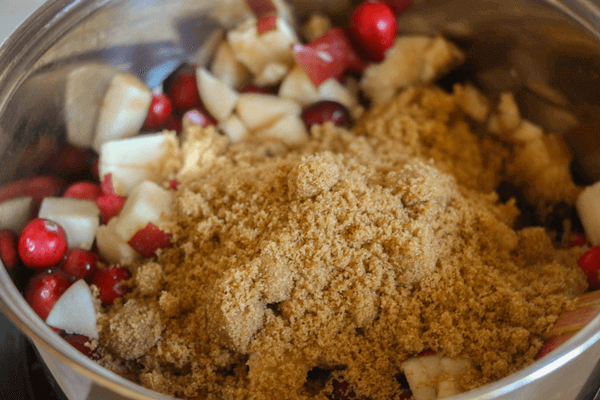 Place the chopped apples, cranberries, apple cider and brown sugar in a saucepan over medium heat. Cook for about 20 minutes, stirring constantly until you reach a uniform, sauce-like consistency. 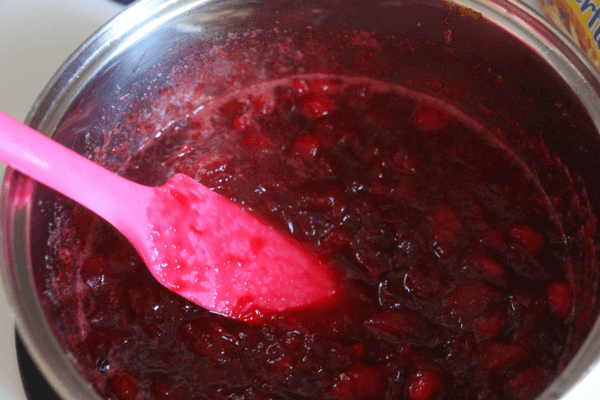 Squish all of the cranberries or apple bits with a spatula or masher - they should give easily. Take off of the heat - it will thicken as you prepare the tart shells. 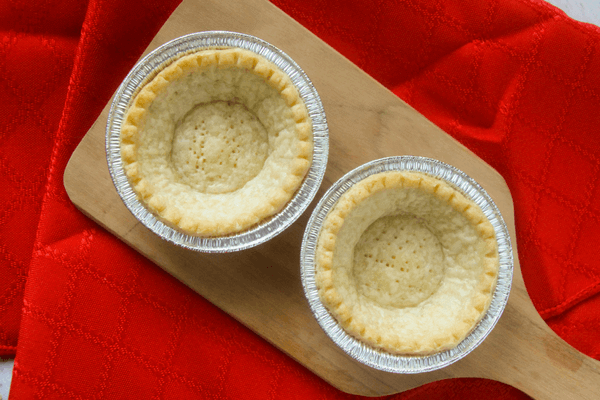 Poke your thawed tart shells with a fork to prevent the pastry from expanding drastically in the oven. 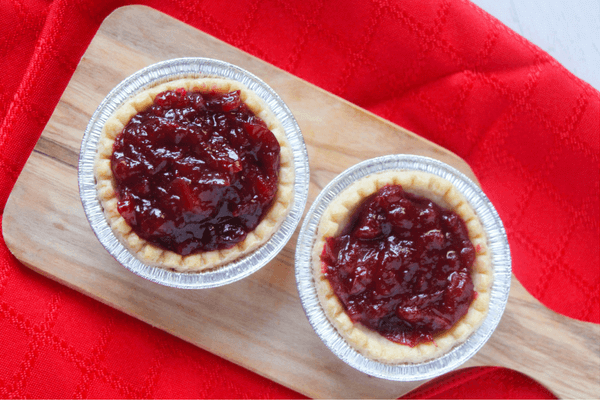 Fill the tart shells with 2 Tablespoons of the apple-cranberry sauce. Melt the white chocolate chips in a microwave-safe bowl along with the shortening, heating for 25 seconds, then stirring, and repeating as needed. Using a spoon (or a piping bag if you're fancy), drizzle the white chocolate over the tarts - leave a couple plain for those who don't want the drizzle. Serve warm or cold - either way they are delicious! Get set for fall baking with these kitchen essentials gathered by the crew at Spaceships and Laser Beams. Check out more great recipes perfect for your next family gathering. The flavors combine so well and they are delicous! Cannot get enough of these. 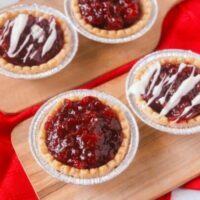 I love mixing apples and cranberries but the white chocolate drizzle definitely perfects these tarts.